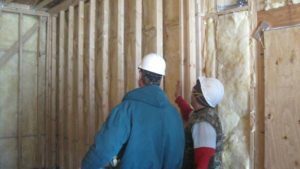 Insulation keeps the heat in during the winter and slows the flow of heat into your home during the summer. Save 35% or more on your energy costs! Arctic Insulation offers much more than just insulation. Locally owned and operated, we have more than 25 years’ experience in the home and commercial building industry. Whether you have a commercial or residential building project or renovation, Arctic Insulation can help with all your insulation, heating and cooling, and aluminum seamless gutter needs. So your house is getting that lived-in and hard-worn look? Do you remodel your existing home, or do you build a new home? The surprising news is that there are a lot of home remodeling projects you can take on that will not only increase the resale value of your home and refresh the look of your home, but also will not cost as much as you would think. We will guide you through any renovation or remodeling project, both residential and commercial.